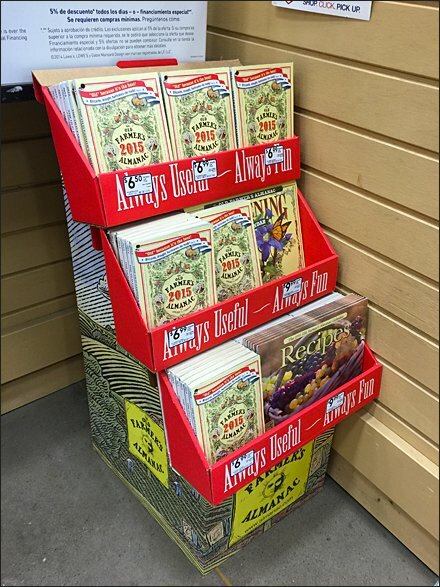 A Farmer’s Almanac for Fun & Profit in-store corrugated point-of-purchase display points out the two best reasons to buy … “Always Useful, Always Fun.” The Farmer’s Almanac is a fount of common-sense wisdom and fun facts. Weather prediction accuracy may vary just a tad .. but is it truly less reliable than overly-precise, modern forecasts like “30% chance of rain over 25% of the southern half of the region?” Old-school, I much prefer pithy newspaper front-page, Masthead weather forecasts of “Chance of Rain” which provided as much accuracy as needed … particularly when coupled with a look out the window. 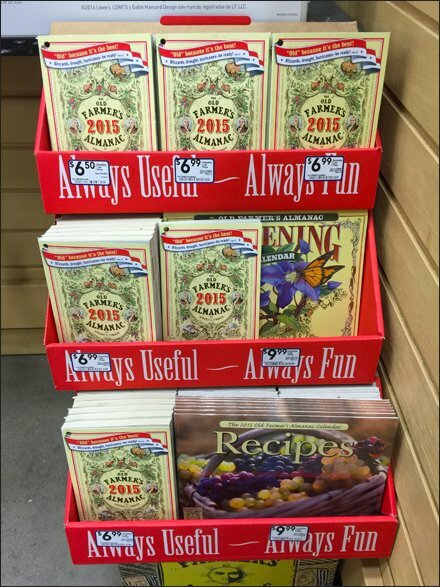 See a Farmer’s Almanac for Fun & Profit front view in the inset image.